Our Customer Service department is available at 800-258-1302 Monday through Friday from 8:00 AM to 5:30 PM EST to answer your questions about order status or provide product information. If your question concerns the status of an order, please include your invoice number and purchase order number. Looking for a particular page? When should I expect to receive my items? You can expect delivery of in-stock items within approximately 7-10 business days from the time the order is placed. What are Delta's shipping charges? Standard delivery is UPS Ground or equivalent. Overnight, second-day, and other shipping methods are available at an additional cost. Please ask your customer service representative for details. When I place an order via phone, fax, or web, how long does it take for the order to ship? In-stock items on all orders typically ship within 3-4 days of receipt of the order. I received my order but I didn't get my invoice. Should it be in the box with my order? We generally ship orders UPS or Fed Ex, but the actual invoice is sent under separate cover via US Mail and usually arrives a few days after the order. Can I find out the cost for Overnight, 2-day, and 3-day shipping when I place an order? Since we charge customers only what the carrier charges us for these shipments, we cannot give you exact shipping charges for these services at the time of the order. We can, however, give you an estimate based on the weight and destination of your order. Can I buy a FOSS Teacher's Guide instead of the whole FOSS kit? 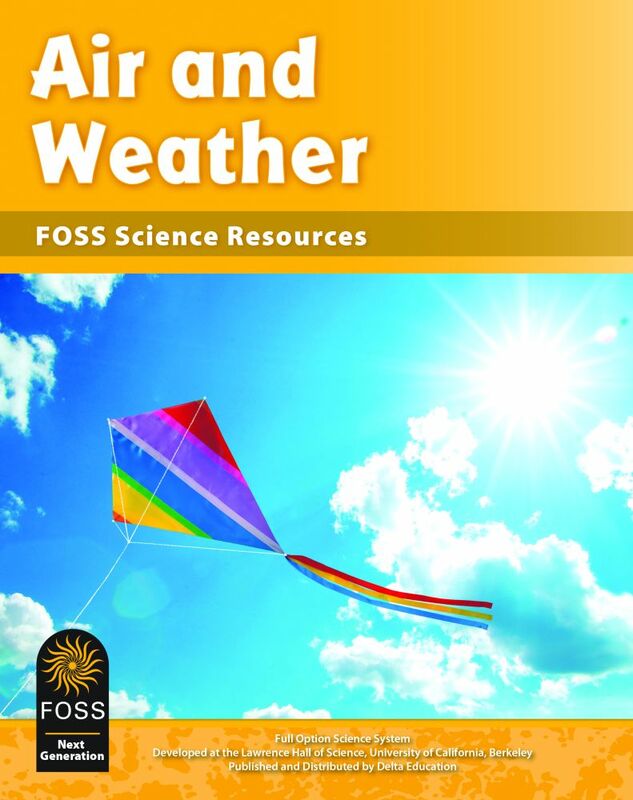 The FOSS Teacher's Guides are available only with the purchase of the kit of the same title. I have an old FOSS kit. Is there a way I can update it without buying a complete new kit? Yes. To completely upgrade your kit, we sell Conversion Kits, which contain all the teacher and student materials to bring your old module current with whichever edition you are converting to. What grade levels do FOSS kits cover? How many students are the FOSS kits designed for? The K-6 FOSS kits are designed for classes of 32 students working in collaborative groups of 4. There are enough consumable materials for 2 consecutive uses of the kit in FOSS Third Edition and 3 consecutive uses is FOSS Next Generation. FOSS Middle School courses are also designed for classes of 32 students working in groups of 4 and include enough consumable materials for 5 consecutive uses of the kit. Are the FOSS kits designed to be used with a textbook? No, the FOSS kits are designed to be a complete, stand-alone hands-on science program. They could, in some instances, however, be used to supplement a textbook program by providing hands-on activities to support or enhance the concepts being taught. How long does it take to teach a FOSS kit? While this depends entirely on the frequency and duration of your science lessons, the K-6 kits are designed to take approximately 6-8 weeks, and the Middle School kits are designed to last about 10-12 weeks. Are the Living Material cards included in the FOSS kits? No, the Living Material cards are sold separately since some teachers find it easier to acquire live materials from local pet stores. How do I arrange to have my Living Materials delivered when I need them? Please see the Living Materials FAQ section. What grade levels are the DSM kits designed for? Grades K-8. They have been designed for grade ranges K-1, 2-3, 3-4, 5-6, and 6-8. Modules may also be used at a grade level above or below the designated grade range. How many students are the DSM kits designed for? Each DSM kit is designed for a class of 32 students working in collaborative groups of 2-4 students. How long does it take to teach a DSM kit? 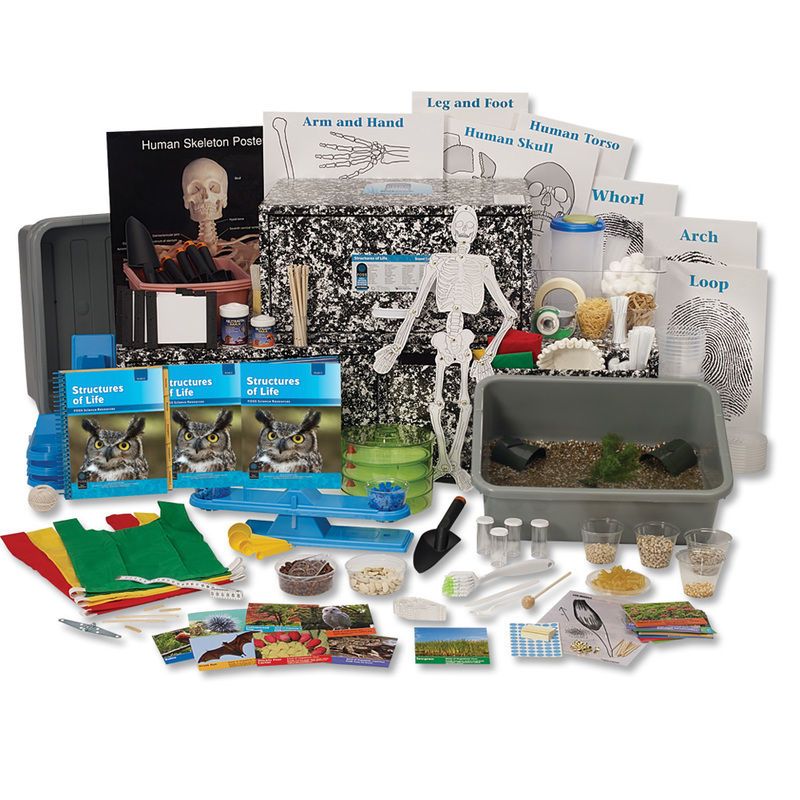 While this depends entirely on the frequency and duration of your science lessons, these kits include 12 activities each and are designed to take approximately 4-6 weeks. Are the DSM kits designed to be used with a textbook? The DSM kits are very versatile and can be used as comprehensive stand-alone units or to support or enhance a textbook program. Are the Living Material cards included in the DSM kits? Yes, prepaid Living Material cards are included in the DSM kits and Refill kits that require live organisms. If you live in the states of Alabama, Arizona, California, Florida, Hawaii, Louisiana, Michigan, Nevada, New Mexico, Tennessee, Texas, Washington, or Wisconsin you will face restrictions on what organisms can and cannot be shipped into your state. Click here to view information specific to your module along with recommended investigation alternatives. How long is my Living Materials card good for? It is good for one use in 4 years. When I buy a Living Materials card, do I have to pay shipping when the actual Living Materials ship? No, the shipping costs are charged when you place your original order. How long will it take for my Living Materials to arrive if I place my order today? From the time you order your live materials, please allow 3-4 weeks for delivery. All materials ship via 2-day air on a Monday or Tuesday for a Wednesday or Thursday delivery. Why does it take 3-4 weeks for delivery of Living Materials? The Living Materials are shipped directly from various biological supply companies, who need time to acquire or grow the materials prior to shipment. Is mailing my card the only way to arrange for delivery? There are 3 ways to order, mail your prepaid card, fax your card to 800-282-9560 or call customer service at 800-663-2182. Complete all information on your live material card, including proper street address, as we cannot ship to PO Box. Currently we cannot ship living materials to Alaska, Hawaii, Canada or International countries. When I order Living Materials, do I have to wait to receive the card or can I specify a shipment date at the time of my order? If you are purchasing Living Material cards that are sold separately, you can specify when you would like the actual Living Materials sent (not the card) at the time of your order. If, however, you are ordering a kit that includes a Living Material card (DSM, SCIS, Butterfly Garden, Frog Habitat, and others.) you must wait to receive the kit and remove and return the card in order to arrange for delivery. If my Living Materials arrive dead or dying, can you replace them free of charge? Yes, we can replace dead or dying Living Materials, generally for delivery the following week, if we are notified within 48 hours of receipt.